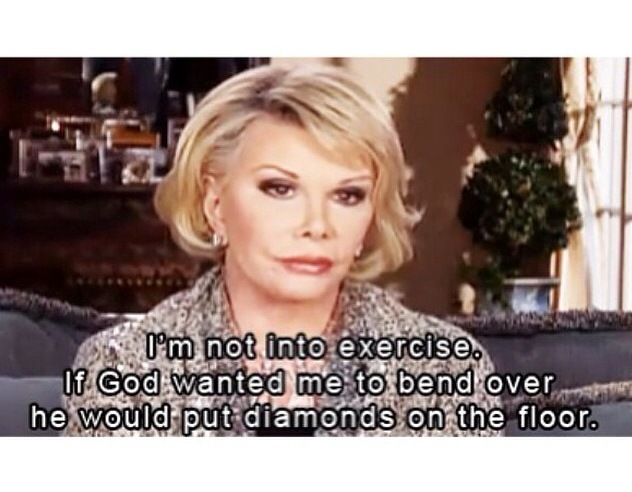 It is Sad news to hear the passing away o f Mrs Joan Rivers Thursday 13:17PM was so unexpected to fans. 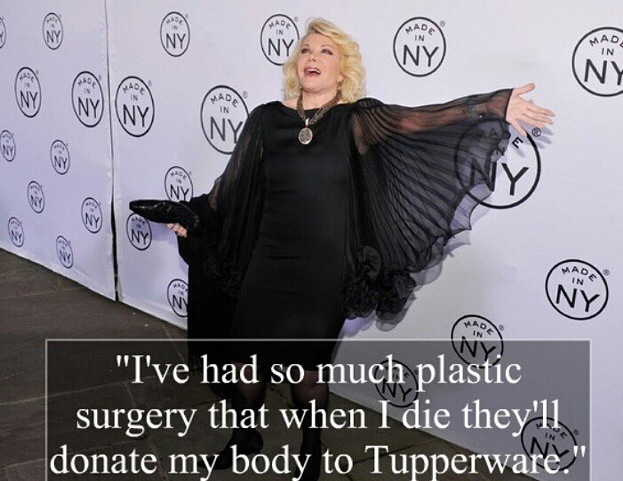 Despite how controversial the thing she said was, Joan made it clear that she wont apologise for her jokes, as it will put a smile on someones face, somewhere, she succeeded by saying what everyone else was thinking. 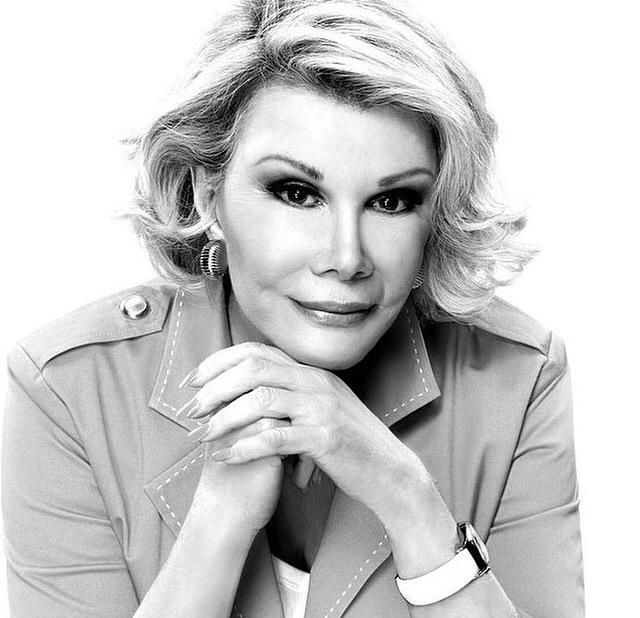 I haven’t followed her whole career but I know she was she was an amazing American actress, comedian, writer, producer, and television host, best known for her stand-up comedy and for co-hosting the E” channel celebrity fashion show “Fashion Police” which is what I loved to watch (Fashion and comedy my two fav things) on a Sunday night at 9pm, I would catch a loads of jokes and there would of course be moments where I would say “OMG did she really just say that!! 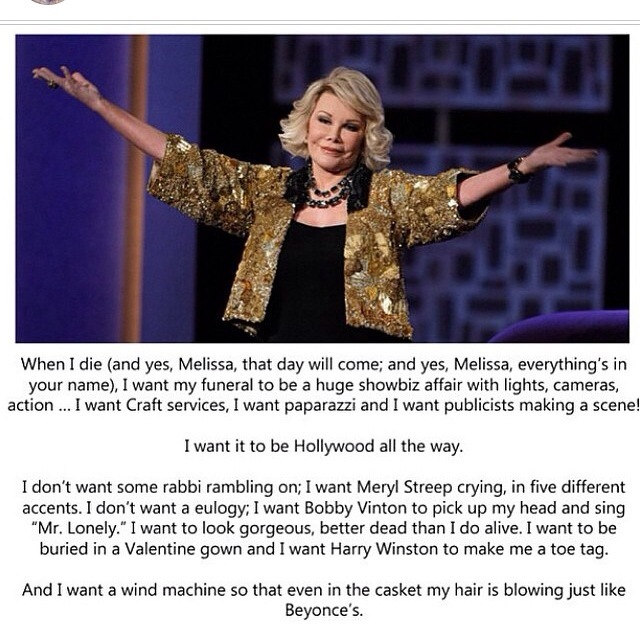 !’ never-the-less I know for a fact Fashion Police will not be the same and Joan Rivers will be missed greatly ….